A collection of the best design books in 2019. These titles prepare you for a successful career as a designer by teaching you business, branding, marketing, and design fundamentals. This book list helped many of the designers within our community to get where they are today. If you're looking for a list of the best design books to read, this is it. Whether you're a graphic design student, searching for design principles or a product designer looking for books on design systems, you can be assured that this list is curated for your own design principles. 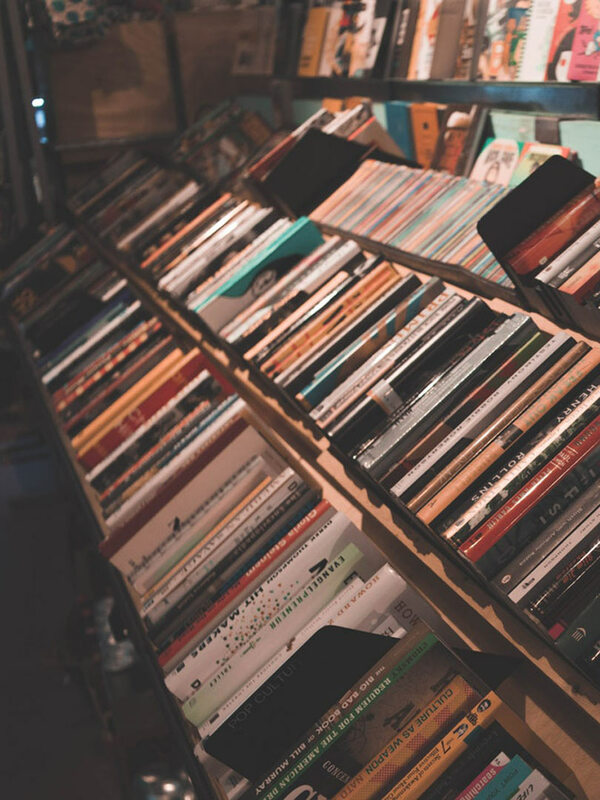 You can use this list as a guide of what to read, building up your library of great design books, or you can sign up for our newsletter to get access to a custom learning path for you and your design career. Click through to see the item on Amazon and to help support what we're doing here with the Compass of Design Community. Searching for a specific design discipline? Feel free to look through the whole list, but know that there are more than 100 top design books here. If you want to find something specific to what type of design you practice, check out this filter here. An excellent cover to cover collection of value for people who are starting out in graphic design. Guidance and advice for the newbies. You want to become a creative person? Start to look within your own self. This book is a goldmine for quotes, facts, and details on the use of typography and design. It's not full of lessons, but full of wisdom. Get into the mind of this design legend and see detailed shots of work, sprinkled with a bunch of design philosophy. This book showcases seventy-five of the most influential designers. A good look into the contributions of design legends in modern media and design. Get a fresh picture of the design process by taking a look at the different areas of design and their application. When they say print is dead, they talk about what they go over in this book. It is a comprehensive guide to printed volumes, featuring not only finished projects but also the techniques and materials of bookmaking, as well as definitions of the terminology. Josef Muller Brockman is one of the best designers with grid and typography. The shape of design covers the areas about the creation of ideas with storytelling, craft, and improvisation. How to is a book that goes over design's impact in recent history over the last century. With titles on "how to" change things with graphic design, this gives vision into the things we do every day as a designer. Books about design thinking, design strategy, and applying the design process to your work. 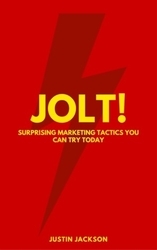 Hands down, this is the best book on translating all of the business terms and marketing jargon into actionable design strategy. This is important for anyone on teams, freelancers, agency owners. This gives you the ability to pare down intense marketing and business objectives and apply it to creative strategy. Take what you know about designing products and services and pair that with what you need to learn about basing that work off of real-world data. This book is for helping you understand the patterns of great value propositions and the impact of your efforts as a designer. 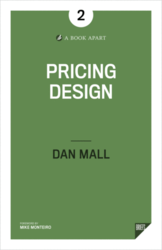 This e-book is a must-read for anyone who has to price design. You have no idea what you should charge? Use this book as a springboard to introduce yourself to the world of value based pricing. For the book, it's one of the most cost effective ways to increase your price in a way that's fair to both parties. How to keep on top of the design process and prove your value to businesses. Your process will help you deal with all the complexity of the real world. The friends from Google Ventures put together an excellent book on design sprints and how to get from idea to MVP(minimum viable product)/prototype within 5 days. This is expanded upon if any of you follow AJ&Smart's design sprint process. We're some of the most indecisive departments as designers when it comes to making decisions on important things. This book goes through summaries of popular strategies to choose directions. A really holistic view of design thinking along with the design process and methods. It's a look into the reasons why every department should apply design thinking. Really interesting book on business terms and philosophy. This isn't necessarily design, but these are things you'll be designing for. It's best to get knowledge of these business terms, and this book can help you. Books to help you run your agency or freelance business better. This book by Eli Altman was an excellent read. The book is beautifully designed and has a lot of actionable tips for people who want to run a small design studio. As a solo designer of my own studio, I found that there's still some excellent advice on growing your client list, how to bill, how to handle clients, and for the future, how to manage other creatives. This is one to check out for sure. Sometimes if you're freelance, or the only person on a team, it can be pretty demanding trying to do large scale jobs. I hope this book helps you get the right amount of work and results that you can get being a solo-designer. Client work can be tricky to navigate. Mike here goes over his ways to build connections with his clients. I cannot recommend this book enough. The book by Blair talks about how to treat your practice as a professional and be seen as a professional by whomever you do business with. I wish the title wasn't what it is because this book isn't malicious at all. It's understanding that in order for people to care what you do you have to treat them like people. You become interesting by being interested in others. Learn to promote your work like a pro. Some people are naturals at this, but if you need to get work out there, use this book to get out of your comfort zone. Design is not what you think it is. It's a culmination of the most work you'll do in your life. It's thankfully a very easy read, but highly valuable. Building company culture and building your business in a way most people probably don't. Definitely thinking outside the box with customer service and company culture. Mixed reviews on this one, but it's great for inspirational quotes and thoughts on the creative industry, getting yourself out there, and communicating what you do. Every little thing you do becomes habitual. Those habits can compound on themselves to make or break you. Use this to use habits to your advantage. It's okay be a designer, it's okay to be human. It's okay to be both. This book can help you figure out how to survive as a designer. Books on how brands and marketing affect every buying decision we make. I LOVE this book. It has a lot of in depth case studies from prominent brand identity and logo designs from the companies who designed them. David Airey who wrote it also wrote another book on this list. It's worth a read to see a bit into the process and the identities created. A book on branding names and the messages behind them. Make sure that you search the sellers because someone's trying to sell one for 900 and that's not the price of the book. One of the better books on the visual aspects of brand identity design. This book has gone over several revisions and I don't think there is plans of stopping. Alina Wheeler's thoughts on this as a brand expert is great for those looking for practical application. Another great book on bridging visual design with business strategy when working on branding and logo design. Understanding the power that brands create and how they influence someone to choose them over a competitor. The gap between designing a brand and the strategy behind it. Great read for brand identity designers. The entire basis of Simon Sinek's talk, "start with why." This book is really good to go over to learn about the true motivation behind decisions. Essentially instead of jumping straight to work from inquiry, you start by asking the right questions first. This book is great for visual design, personal branding, and business card design. Thoughts on how ideas get stuck in your head. Very good read for communication and messaging in branding. Sell more by standing out. Unconventional marketing tactics to help you get your name out there as a designer. Books for applying illustration to the business world. A deep dive into visual language and practical applications to find your own voice as an illustrator. Exploring trends in the illustration world. Not so much digital as in hands on work, but it's a great look into what else is out there in the field. Another look at exploring trends in the illustration world. Experimental forms of illustration like papercraft, and other unconventional applications. This book looks at how art, design, and human beings are intertwined. You'll see a lot of references from many areas of design and illustration and their applications in the real world. History of an illustrator named Ben Tallon and goes over the things that he dealt with during his journey. A way of looking at individuality and it's importance in your career. This book goes over the things that you'll run into with authorship and promotion as an illustrator. This is a fresh perspective on illustration as art and illustration as a business. Logo design books for inspiration, learning, and practice. Another collection of the best logos from great designers across the globe. The entire Los Logos series shows quite a bit of the evolution of logos during the digital revolution. Logo covers a lot of popular logos and categorizes them by type. This is more of a logo-dictionary where you get to see marks and the designer/firm that made them. Another logo collection. 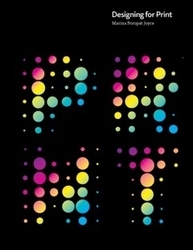 It's massive and really great for geometry, patterns, and other shapes in logo design. And by massive, I mean this is over a foot tall with over 400 pages. One of the best logo collections I've seen. Tips for working with logo design clients along with case studies, sketches, and other work done for large companies. Designer of some of the most iconic (pun intended) logo designs. Much of an influence and pioneer of modern logo design. Books for learning how to design for print work. This by far is the best print design book out there. It's written as a very informative, highly relevant design book to reference for printing in today's era. It's covering printing methods, how to work with printing companies, how your design decisions affect the printing process. Truly an important book for any designer looking for print guidelines. Good type is the foundation for nearly every form of design. Here are some great typography books. One of the most essential tools of graphic design, typography influences the appearance of visual print materials perhaps more than any other component. This essential book explains the processes behind creating and designing type. Every letter itself influences the rest of the design. This is a good look at composition and systems within typography. By Martina Flor, this book starts out with typography definitions which are very helpful for a good overview up front, especially with making well constructed letters. You'll get a lot of great helpful tips for working with color, becoming a professional lettering designer, pricing, and some good info for doing this full time. This book by Leslie Cabarga is a celebration almost for the making of type. There's a lot of history on type, guides on lettering basics for digital lettering, and understanding the bezier curves. This is a great step by step guide on how to get lettering styles down. You'll learn how to construct and mix variants of type forms like script, serif, sans-serif. A great book full of tips and guides on creating letters by hand. A really, really good guide to using typography. This book is a staple for any designer that has to use even a single word. It has terminology, history, (a really helpful guide to grids in design). Get this if you plan on getting into design. This book is for the type nerds like us who want to know everything there is to know about the elements of typography. Honestly, I couldn't finish this book because of how dense the information is in here. You learn the effects of rhythm and proportion, character alternatives in fonts and typefaces... really, get this book if you're somebody who builds letters from scratch and uses it in big designs. You'd probably think that this book goes over modern fonts... You might be surprised that a typeface (like a font) is over 500 years old. There's just so many great fonts that were designed centuries before you were here. A deep dive into the form of letters, typography, and it's uses. Really good work book on taking sketches and moving them into vector programs to create beautiful hand lettering. A deep dive into letters, letterspacing, words, wordspacing, lines, and columns. Very lavish hand lettering and it's application in modern day things. A good inspiration book of Louise Fili. Good books on UI design that focus on layout, grid, and user interaction design. Designing for the human interactions with technology, you need to have some understanding about interaction design principles. About Face is pretty much a really good guide on interaction design and the changes in the industry. Get good at using the grid. You have to learn the grid before you can break it. In order to understand the method of creating user interfaces for people, you need to understand people. Try this one on for size. Really in depth book on designing icons and the history of using icons in culture and interfaces. Another great grid book. Practice by using the exact instructions on each type of grid. A look into the way we design interfaces and other things in the realm of science fiction. User experience in everyday things. UX design books for both physical and digital products. Empathy is something that we designers need to have in order to design products that are specifically meant for those who we intend to present it to. We can design things to influence people's bad habits or use them to feed their good habits. Where you fall in that influence is up to you. I talk a lot about our power to change things and this is definitely one of those I'd recommend. How do you know if you've made the right choice? Let's dive into why choice may be less of a choice than you think. Have you noticed nearly all books use yellow and red to get your attention? This book will help you bridge that gap to understand what your users want and need from your product, and whether they'll be able to use what you've created. 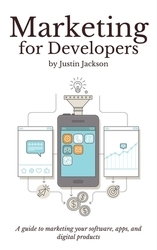 This book will help you understand the psychology of the optimal user experience. Really, you'll get to see what puts people in their creative productive states. Read this, and you'll start being able to stand up for your choices. Help yourself get your own points across and move changes for the user to the forefront of the designs. You'd be surprised what goes into everyday things. You'd be even more surprised on how people are using those things. Make sure that you aren't focused on having everything. Essentialism is focusing on the discipline of restraint. Something we need as designers. This is kind of like the guide to making sure that your intended recipient of your design has the easiest way of getting what they want done. Books for Motion Graphics and the best practices of designing for animation.